How time flies! Suddenly, the 2018 Easter will soon come to us. Do you prepare to embrace the much-awaited Easter holiday? If not, it's the time to add the Easter elements into your life, no doubt the cute bunny and colorful eggs. Here I will show you the way I greet 2018 Easter: download and change free Easter wallpaper for my desktop Android device and iPhone iPad. Foremost, I get myself drenched in Easter with changing my desktop background with the high quality yet free Easter wallpaper. Let's get it started! Where to download free Easter bunny or egg wallpapers with high quality for desktop? Below is we list sites where you can get free easter online desktop backgrounds. No matter your desktop is armed with Windows OS or Mac OS, the recommended Easter wallpaper download sites provide you with whatever you need, HD wallpaper or live wallpaper for Easter. 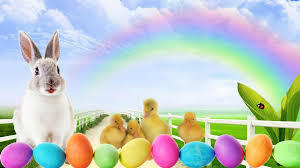 * newfreescreensavers-offer you with all manner of Christian Easter wallpapers: the adorable rabbits background for desktop, the live colorful Easter eggs wallpaper, the animated wallpaper with Easter blessings, etc. You just need to click the download button and then the free Easter desktop background will automatically download for you. * desktopnexus-different from the former lovely style, the free hd Easter wallpapers are more apt to aestheticism with tons of Easter screensaver like oil painting. They approach more to the trend of back-to-ancients. In case you prefer to this kind of desktop wallpaper, you are allowed to free download wallpapers by right-click your mouse to save the Easter backgrounds. After free downloading the free Easter bunny egg wallpaper for desktop, you ought to change desktop background now. 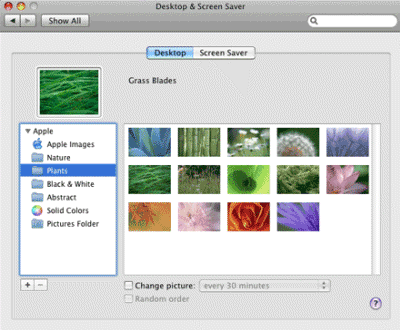 The following part shows you how to change desktop background (wallpaper) with greatest ease. Tips: If you plan to download and extract the cute Easter image from YouTube as your desktop wallpaper, here the all-inclusive MacX Video Converter Pro can do you a big favor that after fast downloading YouTube Easter music videos, it leaves the right for you to freely screenshot any lovely Easter picture with crisp image in just a click way while playing back on its built-in media player. Also, it can empower you to convert your collection of Easter pictures into a vivid slideshow video with any fair-sound music infused at your willing. 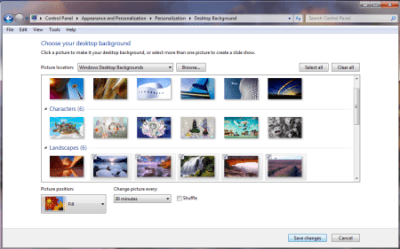 1, Right-click mouse to choose Personalize; Then select Desktop Background from the windows' bottom left. 2, Click the downloaded Easter wallpaper for the background. 3, Make a decision on whether to fill, fit, stretch, tile, or center the HD Easter wallpaper. 4, Click the Save Changes button to save your new 2018 Easter background. 1, From the Apple menu, select System Preferences. 2, Then choose Desktop & Screen Saver, and click the Desktop tab to display just the desktop preferences. 3, Press Library in the left pane (or Folder), navigate to and pick out the folder that contains your Easter wallpapers, and click Choose. 4, In the right pane, click any thumbnail to place the Easter background on the desktop. 5, Based on the size of your chosen wallpaper, you can opt for tile or center it if it's small. Note: You can also have your Mac automatically change your Easter desktop wallpapers or change your background with Apple preinstalls Easter wallpapers. The operating steps are similar, so there is no need to point them out. If your personal photos don't make beautiful yet HD Easter wallpaper photos, check out wallpaper sites like Interfacelift, androidcentral, livewallpapers.mob.org and National Geographic's wallpaper collection to download hd or live Easter wallpapers for Android phones or tablets. 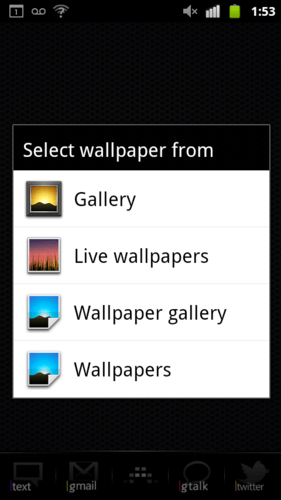 And just a click away, you can hassle-free download any HD or 3D wallpaper for Android device. The whole Android Easter wallpaper download is dead easy. So we just pass this part and go straight to how to change Android Easter wallpaper. 1, From your home screen press menu, then choose wallpapers or from your app drawer select your gallery icon. 2, Navigate your gallery to find the HD Easter bunny or egg picture you desire to set as the wallpaper and click on it. 3, Use the box to select the portion of the Easter wallpaper you want to use. 4, Wait a second to let your Android phone change live Easter wallpaper for your device. 5, Once you receive a confirmation that it has been set, press the home button and view your wallpaper. To free download live Easter wallpapers for iPhone iPad, you can: one-go to the iOS wallpaper download sites like iPhone6hdwallpaper.com, poolga.com, appster.org and alike. Two-resort to iTunes app for iOS wallpaper, including 3D Dynamic Wallpapers, Easter Wallpaper Collections, Easter Wallpapers Free, etc., from which you are able to free download any live or 3D Easter wallpaper for your iOS powered iPhone XS/XR/X/8/7/6S/6S Plus/6 Plus/5S, iPad mini 4/Air 2. 1, Download the Easter wallpaper on your iPhone and go to your home screen and tap the Settings app. 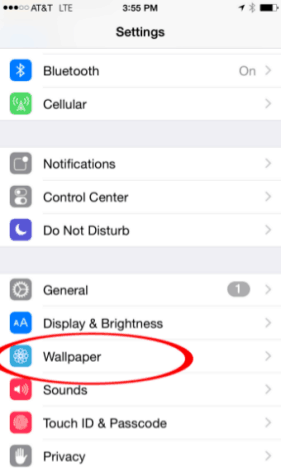 2, In Settings, tap Wallpapers & Brightness and then hit the images under Choose Wallpaper. 3, Select the Easter wallpaper you are ravenous to use from Apple Wallpaper (Dynamic backgrounds included); Camera Roll; My Panoramas and other photo folders. 4, Press Set after selecting the blessed Easter wallpaper or Cancel if you change your mind. 5, Decide whether you want the Easter picture for your home screen, lock screen, or both. Click the option you prefer, or tap Cancel as you like. Sometimes when you change Easter wallpapers for your Android phone or iPhone, do you have encounter the embarrassing situation: your Easter pictures works not well as wallpapers? That may result from picture size issue. How to fix this problem? You are supposed to resize the Easter wallpaper and adjust the pictures to the correct ratio. For Android phone users, the suggestion I give to you is that you can rely on the wallpaper resize apps, among which the widely-used Photo Editor is the second-to-none choice. After installing and launching this wallpaper resize app, select "Gallery" on the home page→Open the Easter picture you want to tweak→Scroll and press on the "Resize/Fit" option→Click Manual and enter in the required wallpaper resolution for your particular Android phone→Not tick "Keep Aspect Ratio" →Choose the green tick icon on the top right hand side to save changes→Select the disk icon in the top right hand corner to decide the picture quality and purpose→Job done! For iPhone users, you have no need to do what the Android phone users do, for iPhone is quite different from Android phone on Easter wallpaper making. All you need to do is to know the resolution different iPhone has and then you will know how to resize your Easter wallpaper to better acclimate to iPhone XS/XR/X/8/6s/6s Plus/6/6 Plus, iPhone 5S or iPhone 4S.